If you think you’ve watched every episode of Ripley’s Believe It or Not, think again because here’s a brand new ‘episode’. 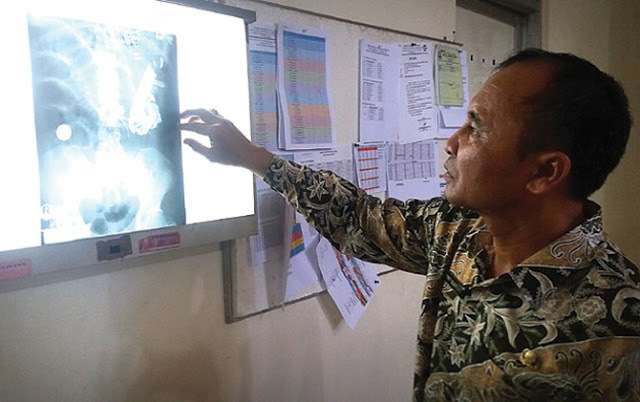 A group of 8 doctors recently operated a man from Jember, Indonesia and found a total of 52 foreign objects in his body! 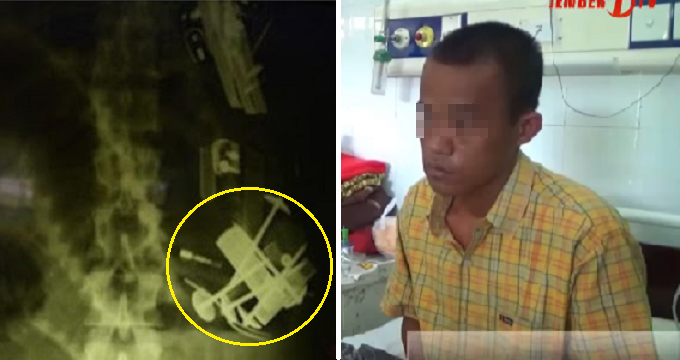 The patient, 30-year-old Hendro Wijatmoko, had swallowed 18 lighters, 3 spoons (measuring 15cm in length), 2 batteries, 2 ice cream sticks, a 20,000 rupiah note, and more! 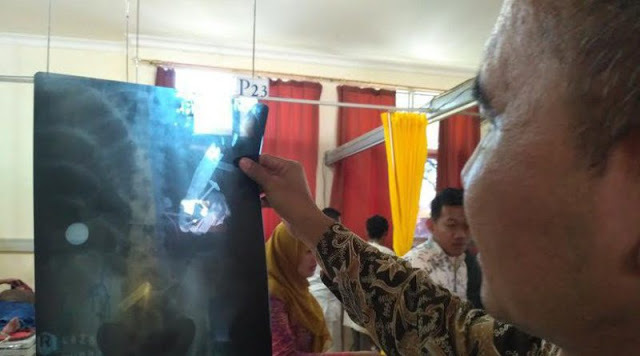 According to Siakap Keli, Dr Subandi and Dr Samsul Huda also found a needleless syringe, 5 pieces of thumbtacks, 2 plastic bags, a small fork, 5 pieces of 200 rupiah coins, and one 500 rupiah coin. 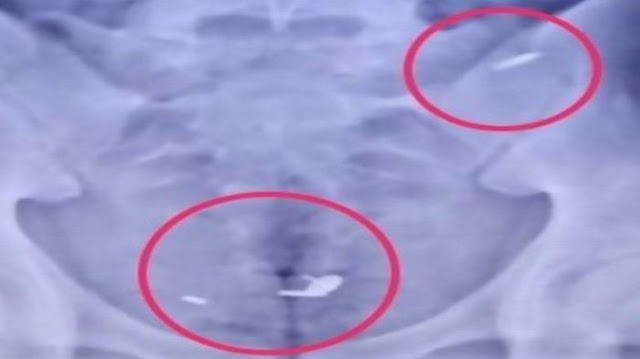 The doctors expressed their concern about the surgery due to the many tiny metal items that were scattered all over inside Hendro’s stomach. “Aside from that, we also had to use our hands to feel for smaller objects. Thankfully, the surgery went well and Hendro was in good condition. 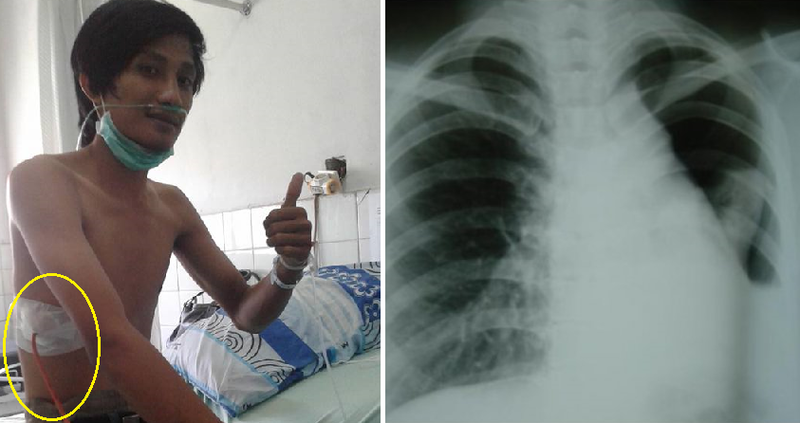 “None of the vital organs in his body were damaged or bleeding due to swallowing all these items in his stomach. But that doesn’t mean you should try swallowing these sharp things, ok! Warning: Viewer’s discretion is advised. The videos may be too disturbing for some audiences. 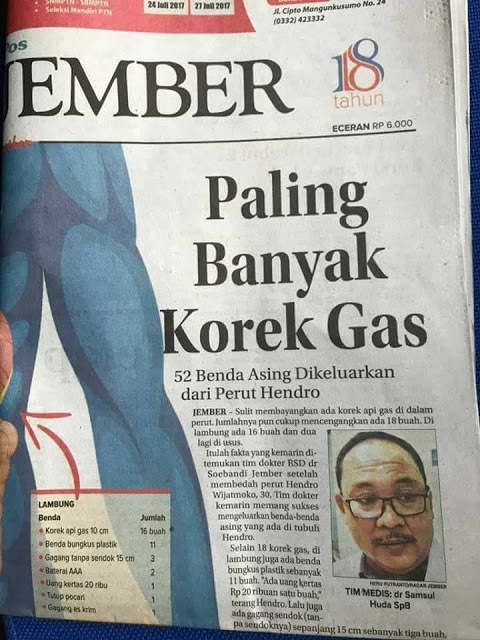 Prior to the operation, Hendro had suddenly complained of extreme stomach pain and so, Haryanto, his brother, brought him to the hospital for a check-up. Apparently, Hendro is a fisherman with a mental illness. His brother tells the media that he was once put in a mental hospital to treat his condition. Hearing voices is one of the most common symptom for schizophrenia. This mental illness is a long-term mental disorder that would entail mental breakdowns. People suffering from this would often find conflict in thought, emotion and behaviour. This would lead to difficulty in perception, having inappropriate actions and feelings, withdrawing from reality and personal relationships, and slipping into a fantasy or delusion. Often times, there will also be mental fragmentation, meaning these people can’t remember what they’ve done for a certain period of time. Mental illness is a serious issue. Regardless if it is as serious as schizophrenia or as common as mild anxiety, we should not take mental illnesses lightly. If you or anyone you know might be having mental health issues, check out the Malaysian Mental Health Association or visit the nearest psychologist ASAP. There is no shame in having mental health issues. It is just like any illness in other parts of the body. It needs a doctor and it needs to be treated.